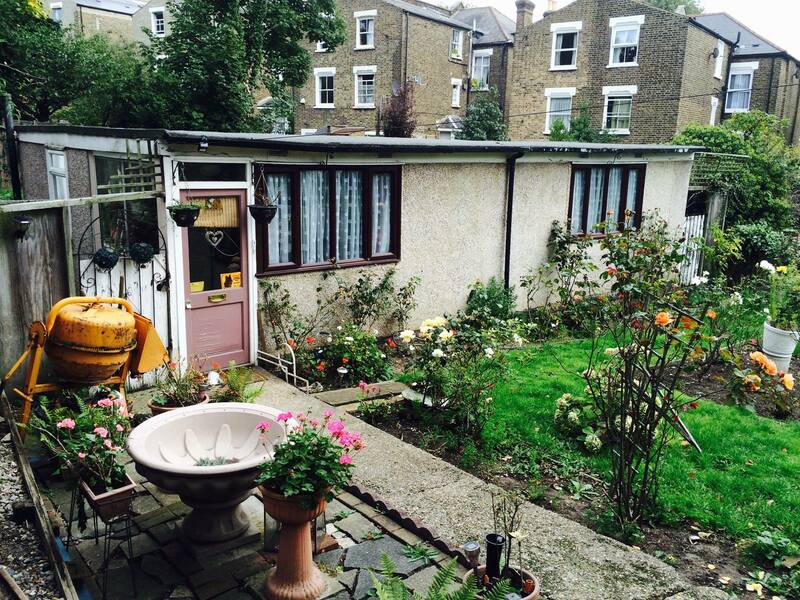 Terence emailed us on 9 July about his prefab in London NW5. Terence also remembered the prefabs in Savernake Road and Glenurst Avenue in NW3. Watch the video we recorded with Terenca, who still lives in North London, and his friends who also lived in North London prefabs. 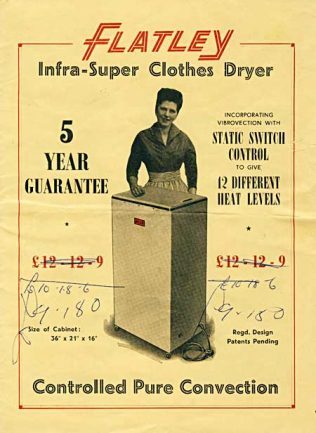 Mary contacted us through the Rural Life Centre, and offered us a vintage 1950s electric clothes dryer (photo coming soon), which now resides in my garage until a suitable home is found! 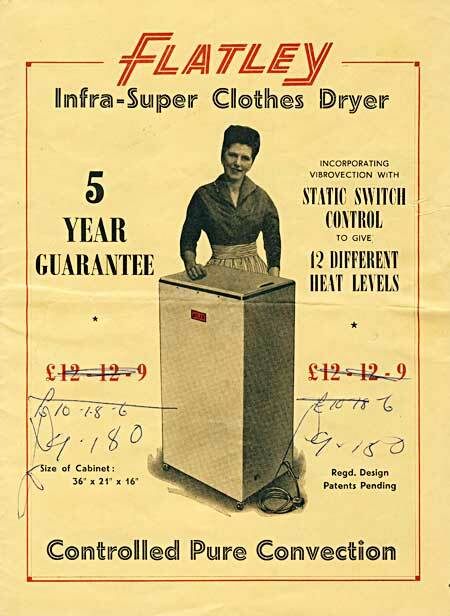 Her mother bought it in the 1950s and it has been in constant use until a couple of years ago. On Saturday 30th July 2016 I visited John who has lived in his Uni-Seco Mk2 prefab in Brockley since 1948. He is 91 years old and says his prefab is perfect for him as there are no stairs. He bought his prefab in the 1980s for £12,000 and has replaced the chimney, roof and windows, and created a porch around the side entrance. Originally there were 10 prefabs on the site, but now only two remain. The other prefab, which is derelict, was left like that by squatters who removed everything of value like the copper pipes and smashed the rest up. The other prefabs were vacated during the 1980s; their tenants were offered alternative housing by the council, and they were subsequently demolished in the early 1990s. The eight demolished prefabs were replaced by a self-build co-operative housing project called Greenstreet Hill. Those of you who have been on our guided walks of Brockley and Nunhead will have seen the outside of this prefab, the derelict one, and the self-builds. The prefabs were erected on a bomb site, the first V1 flying bomb (doodlebug) to hit this area on 23 June 1944 demolished and damaged houses. John was born in Deptford, one of 14 children. He lived in Hyde Street, much of which was demolished in the 1960s to make way for blocks of flats. 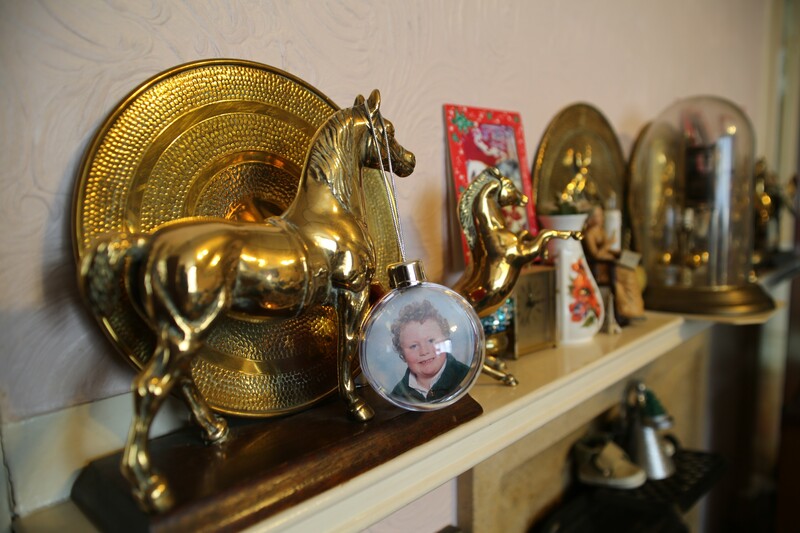 His prefab is decorated with horse memorabilia, and photos of John with horses line the walls. He told me that he had grown up near the stables where the totters’ horses were kept, and developed a lifelong love for them. On the 1949 map of Deptford you can see where the stables were. At one time he had seven horses of his own, stabled first in Deptford, then Bromley. You can read more about John, who sadly passed away on 22 May 2017, here. Thank you for visiting my grandfather, hemmentioned to me about his visit. If you would like anything in particular for your website please let me know and I will have a look for your next visit.